Research and Musings: Part of the ceiling in my basement office. Notice the stains around this waste water pipe. 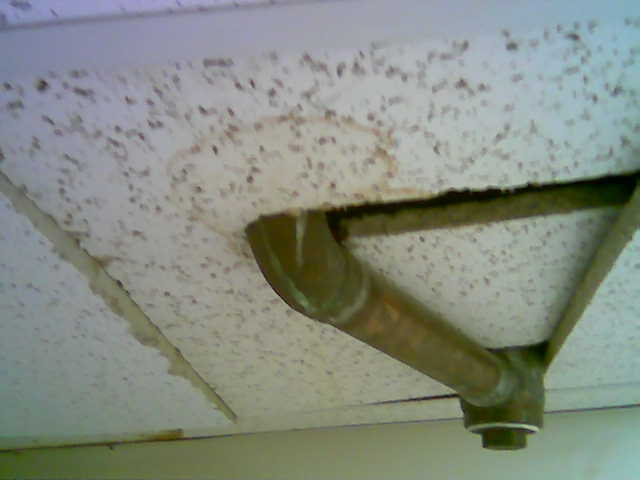 Is it rust being soaked off by condensation, or a slow lead, destined to rupture the pipe? Only time (Or a good plumber) can tell.